please take your time and read his interview ! 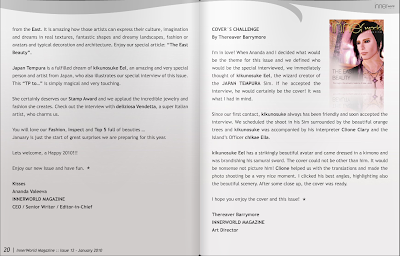 the latest issue of InnerWorld Magazine featured kikunosuke and his stunning creation of art, Tempura Island. here's the latest issue of Inner World Magazine !